Google has added a lot of new improvements to Gmail in terms of both Design and New features. The Cool new Material design and features like Confidential mode, Offline mode etc. are some of them. Following these updates, Google announced another new Gmail feature called “Smart Compose” at Google I/O 2018. In this post we will see What is Smart Compose? and How to Enable & use Smart Compose on your Gmail account right now. Smart Compose is an AI-powered Smart suggestion/ Auto-complete feature, which will show suitable sentence suggestions while you are writing an email. WIth this feature, when you are composing a new email on Gmail you will see suggestions to complete a sentence as lighter coloured text . If you like the suggestion, you can press Tab or Right arrow key to use it (or) you can just ignore it and keep typing. Smart Compose is similar to the autocomplete you see on keyboard apps like GBoard, but in this case instead of words it suggests sentences. How Smart Compose works is, it uses Machine learning to analyse the contents of the email you are typing like Email subject, Receiver’s email, your previous emails and based on how people normally form sentences and then gives suitable sentence completion suggestion in that context. NOTE: Smart Compose feature only works on Gmail Desktop version. It may soon be added to Gmail Android & iOS apps soon. As Smart compose is an experimental feature as of now, it isn’t enabled by default. So you have to manually Turn it ON in Settings. To get the Smart Compose feature, you must first switch from Classic Gmail to New Gmail. To Enable new Gmail, open Gmail on your Computer (or use Desktop mode on your browser) and login to your account. Now click on Settings (gear icon) on top-right corner and then click on Try the new Gmail. This will enable and take you to your new Gmail inbox. 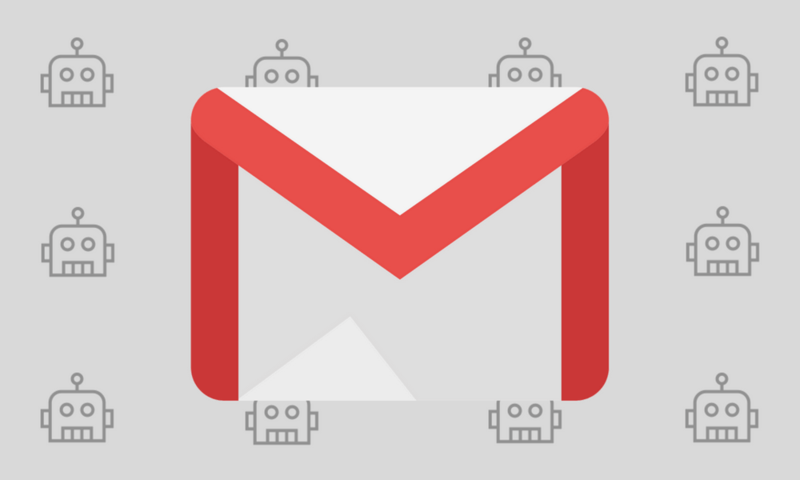 If you are using Inbox by Google (inbox.google.com) instead of Gmail to access your Gmail account, you might have enabled redirection from Gmail to inbox.google.com. So we have to first disable this redirection. To do this, login to inbox.google.com and Click on Settings in left pane. Now click on Other and uncheck the option Redirect Gmail to inbox.google.com. Click on Gear icon on top-right and then click on Settings. This will take you to General settings of Gmail. Now in General Settings, scroll down and look for a option called Experimental access and Tick the Enable Experimental access option next to it. Now scroll down to bottom and click on Save changes. After you saved changes, the Smart compose option appears and will be automatically turned-on. If it isn’t turned-on, just go back to General settings, scroll down and Tick the option Writing suggestions on next to Smart Compose. That’s it, you will now get suggestions when you write an email. Well, if you don’t like Smart compose feature, you can Disable it in the Settings. Just go to Settings – General Settings just as above and scroll down. You will find option called Smart compose, just besides it Tick the option Writing suggestions off. While you are writing email, you will see suggestion in light-coloured text. To use the suggestion press Tab key or Right-arrow key (cursor key). To insert your address type “My address is “. Fill the TO email address(es) and Subject first before you start writing an email. This way you get slightly better suggestion based on subject and recipient name. Keep writing emails and keep using smart compose suggestions. As it is based on Machine learning, the more you use, the better it gets. Concluding: Is Smart Compose any good? Well, honestly when Google showcased the demo of smart compose feature at Google I/O 2018, it seemed “unbelievably good”. But when I actually started using it, I was disappointed. I got a very few suggestions, which are sometimes just words instead of sentences. BUT… as I said earlier, it has a powerful weapon called Machine learning. Which means the more people use it, the better it will gets. So it would definitely work as shown in demo in coming days. Susheel, since I have started using the INBOX for Gmail, I am loving it and tend not to use the normal GMail. It is excellent in planning and helping to snooze and use reminders. I am new with the Google’s auto-suggest thing but it sounds promising. Going to try it over the next few weeks. Thanks for an informative article. Yes, Inbox is my favorite and goto email app as well. I love the UI and features. Too bad that Google thinking of discontinuing the Inbox app. And definitely try the Smart compose feature. Iam sure you are gonna love it. The more you use it, the better it gets.